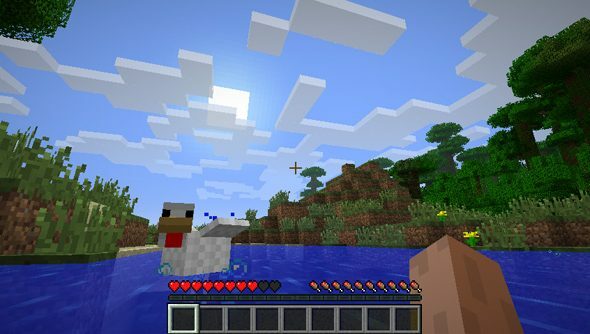 Mojang’s been slapped with a lawsuit over an alleged patent infringment, Notch tweets. The slap came from alleged patent troll Uniloc, who specialise in gathering and commercialising software patents. Patent trolls, whether Uniloc is one or not, operate by dragging developers into expensive legal proceedings that, more often than not, are cheaper to settle than to fight. Minecraft creator Notch, has other plans however. “If needed, I will throw piles of money at making sure they don’t get a cent.” Hoo! Uniloc holds a platform of tech IP that it aggressively protects, primary among which is one that relates to a “system and method for preventing unauthorised access to electronic data” – that is to say, an anti-piracy method. This isn’t a copyright infringement (Mojang aren’t accused of copying any code) it’s simply the idea that Uniloc are claiming has been swiped. In the accuser’s words, Mojang are infringing on Uniloc’s patent “by or through making, using, offering for sale, selling and/or importing Android based applications…that require communication with a server to perform a license check to prevent the unauthorized use of said application, including, but not limited to, Mindcraft”. Microsoft and Apple spend billions protecting themselves from a hail of mostly opportunistic patent lawsuits. Software patents themselves are largely reviled by the industry, who believe they stymie creativity rather than enshrine it. Notch blogged in some detail about his dislike of the patent system, asserting that “if you own a software patent, you should feel bad”. Many software patents are filed to prevent their misuse in such litigation, muddying the issue. Throw in an overloaded patent office who wave through increasingly obtuse and vague software patent descriptions and you’ve got a legal minefield through which software developers must unfairlystumble. Sigh! More as it happens.